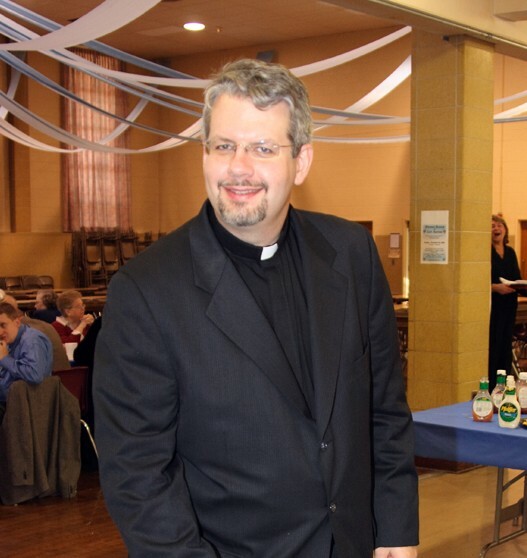 ACS graduate Paul J. Makar will be ordained as a deacon on Pentecost Sunday, May 31, 2009, here in his parish church. Paul, who is currently studying for the priesthood at Catholic University of America (CUA) in Washington, DC, was ordained in November here in his home parish to the Catholic order of subdiaconate. Paul, 36, has a degree in Maritime Engineering from SUNY and spent five years in the US Navy. He was released from active duty in 1999 with the rank of lieutenant. He later worked as an engineer and served in the Navy Reserves. In 2004 he felt a calling to the priesthood and entered St. Josaphat Ukrainian Catholic Seminary in Washington, DC. “His father Paul, a married deacon who serves here, his mother and family, along with the rest of the parish and school couldn’t be prouder,” said Father Roman.